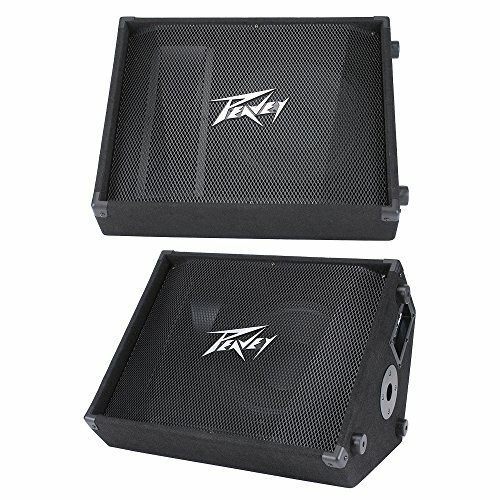 Peavey PV 12M 12 Inch Monitor Make your vocals really cut through! Rated at 500 watts program and 1,000 watts peak power handling capability, the rugged, trapezoidal PV 12M is built to withstand the rigors of the road. The PV 12M can be angled at either 30 or 45 degrees from the floor in addition to being pole mounted. This two-way system features a 12" Sheffield Pro 1200+ premium woofer and a 14T 1.4-inch titanium-diaphragm compression driver (no piezos) coupled to a constant-directivity horn with our exclusive Sound Guard IV high-frequency driver protection. Two 1/4-inch, full-range parallel inputs allow easy daisy chaining.